In the paintings drawn by Tamako KATAOKA, the empathy she puts into the subject to be painted becomes a strong cornerstone. This is the individuality of this painter and the strength of her paintings, aspects of her artwork that place her above others. 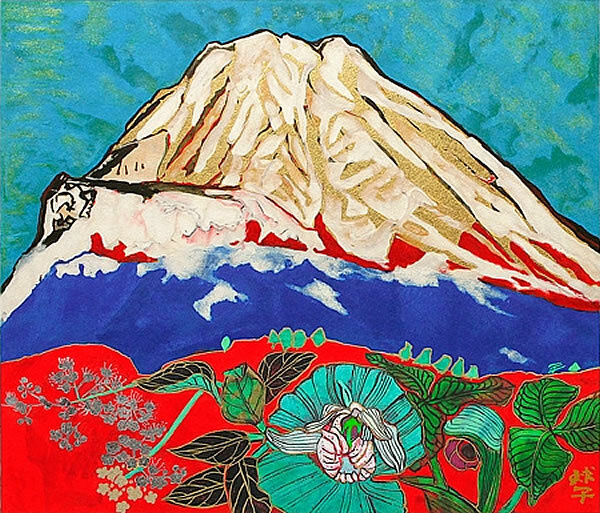 1905 - Japanese painter and print maker Tamako KATAOKA was born in Sapporo City, Hokkaido. 1923 - Entered an advanced course of Women's Vocational Art School (now Women's College of Fine Arts). 1926 - Graduated from an advanced course of Women's Vocational Art School (now Women's College of Fine Arts). Became the teacher of Yokohama City Ooka Elementary School. 1930 - Exhibited her work "Biwa (Loquat)" at the 17th Restored Inten Exhibition, and awarded her first prize. 1939 - Became the "Inyu" of the Restored Japan Art Institute. 1946 - Became a pupil of Yukihiko YASUDA. 1948 - Exhibited her work "Shitsunai (Room)" at the 33rd Inten Exhibition, and won the Japan Art Institute Award. 1950 - Exhibited her work "Teihatsu (Tonsure)" at the 35th Inten Exhibition, and won the Japan Art Institute Award and the Hakuju Award. 1951 - Exhibited her work "Kouraku (Picnic)" at the 36th Inten Exhibition, and won the Encouragement Award and the Hakuju Award. 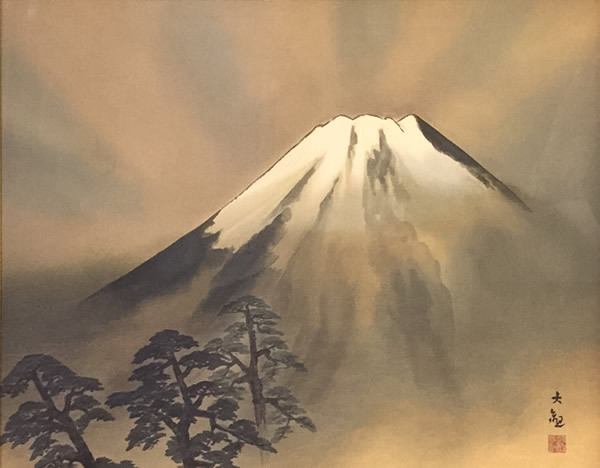 1952 - Became the "Dojin" of the Restored Japan Art Institute. 1955 - Resigned as teacher of Yokohama City Ooka Elementary School. Became full‐time lecturer of the Department of Japanese-style painting of the Women's College of Fine Arts. 1960 - Became an assistant professor of the Department of Japanese-style painting of the Women's College of Fine Arts. 1961 - Exhibited at the Inten Exhibition, and her work "Adoration" was purchased by the Ministry of Education. Received the Minister of Education Award for Fine Arts at the 46th Inten Exhibition. Appointed to the Councilor of the Japan Art Institute. 1962 - Her Exhibition went on a tour to France, Italy and England. Became a professor of the Department of Japanese-style painting of the Women's College of Fine Arts. 1965 - Started making works of lithograph. 1966 - Became a visiting professor of the Women's College of Fine Arts. Became a chief professor of the Department of Japanese-style painting of the Aichi Prefectural University of Fine Arts and Music. 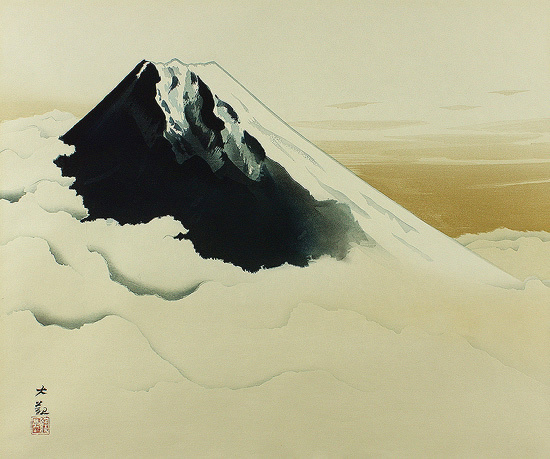 1972 - Solo Exhibition "Thirty-six Sceneries of Mt. Fuji" was held in Paris. 1975 - Given the Imperial Award by the Japan Art Academy. 1976 - Received the third class of the Order of the Sacred Treasure. 1982 - Appointed to the member of The Japan Art Academy. 1986 - Designated a Person of Cultural Merit. 1989 - Given the Order of Culture. 2008 - Tamako KATAOKA passed away at the age of 103.